Well, we have the layout moved into our new space; we just need to give it a good cleaning and reconstruct a few spots. 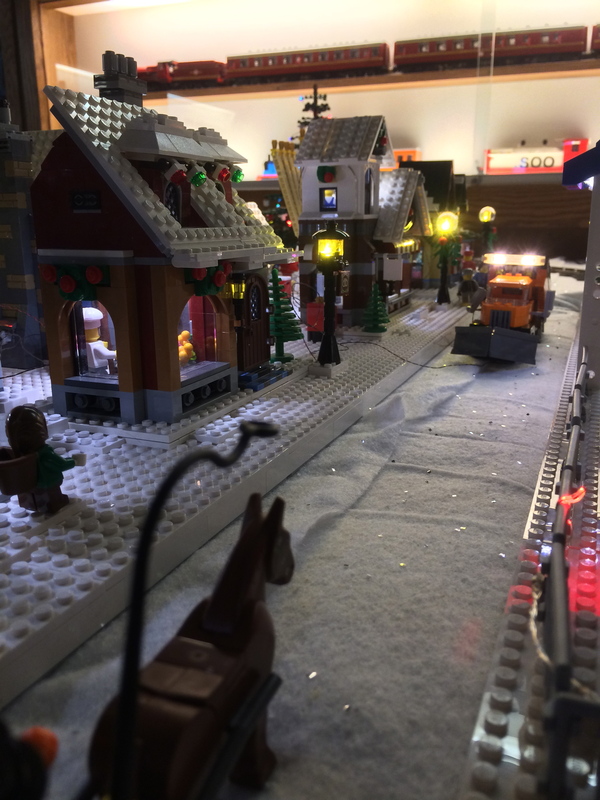 We are super excited about having a space totally dedicated to LEGO trains! A big thanks to Dan at Brickmania for generously underwriting the TCLTC’s new home. So, we will have an initial Open House this Thursday, April 3, from 5-9pm. Our first Saturday Open House will be April 12th, from 10-4pm. Come on out and see us in our new home! Set up at the Roundhouse completed. We headed over to the Jackson Street Roundhouse Museum to change out our regular train display to convert it to a holiday display. We also installed our second timer switch, which allows the layout to remain off until activated by the general public. This is pretty cool, considering the amount of lighting we have staged on the layout. Thanks again to Brickstuff for providing their cool lighting products for us to use, and to Brickmania for their generous sponsorship as well. 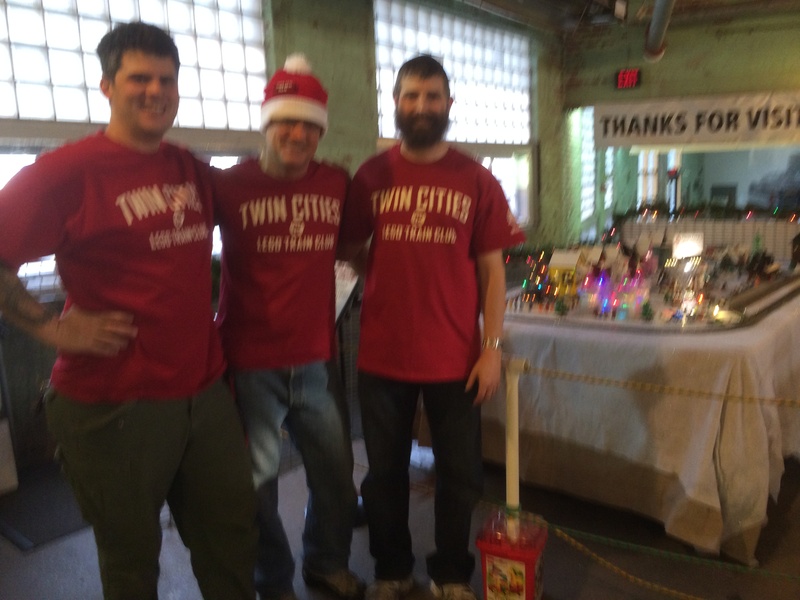 We just returned from setting up a holiday train display for our friends at the Twin City Model Railroad Museum. We went crazy lighting it up, in preparation for TCMRM’s Night Train Season. A special thanks to Rob at Brickstuff for providing a plethora of their cool illumination products for us to use. The layout looks awesome! 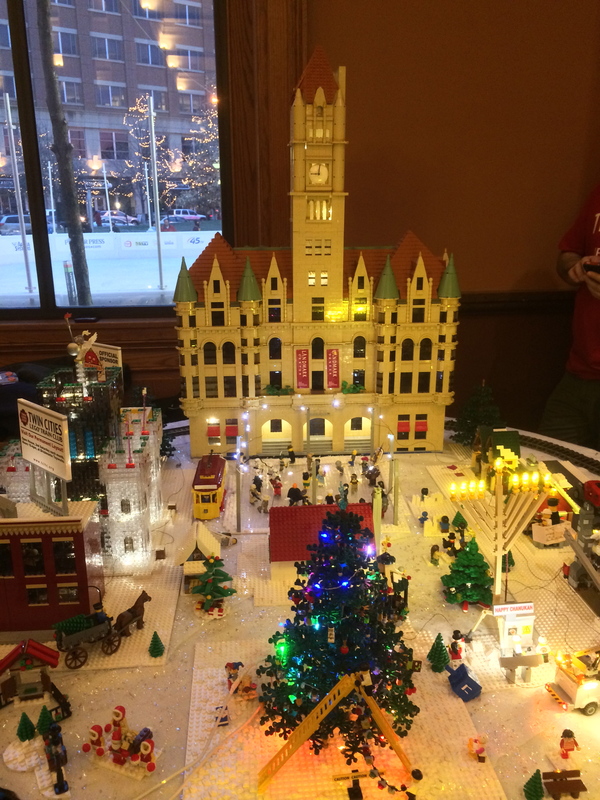 Also, a very special thanks to our official sponsor, Brickmania for providing invaluable assistance to this fun event. Dan, you are the man!